During the Mayor’s State of the City address this year he announced plans to implement a city-wide ferry system. The ferry service is projected to open in 2017. 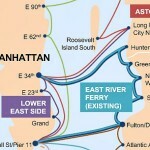 Unlike the existing East River Ferry the cost for each ride will be on par with a subway ride. The system will service several neighborhoods including Lower East Side, Astoria, the Rockaways, Sunset Park, the Brooklyn Army Terminal, Bay Ridge, Red Hook and Soundview, and should help the city manage its growing population. The map pictured above shows the complete system breaking down existing lines, those planned for 2017 and 2018 and those proposed. The plan is projected to costs $55 million. With the development boom in Brooklyn bringing tens of thousands of new residential units to the market in coming years, commuting to and from the beloved borough to Manhattan will become increasingly more difficult, particularly if stations along the L train are closed. 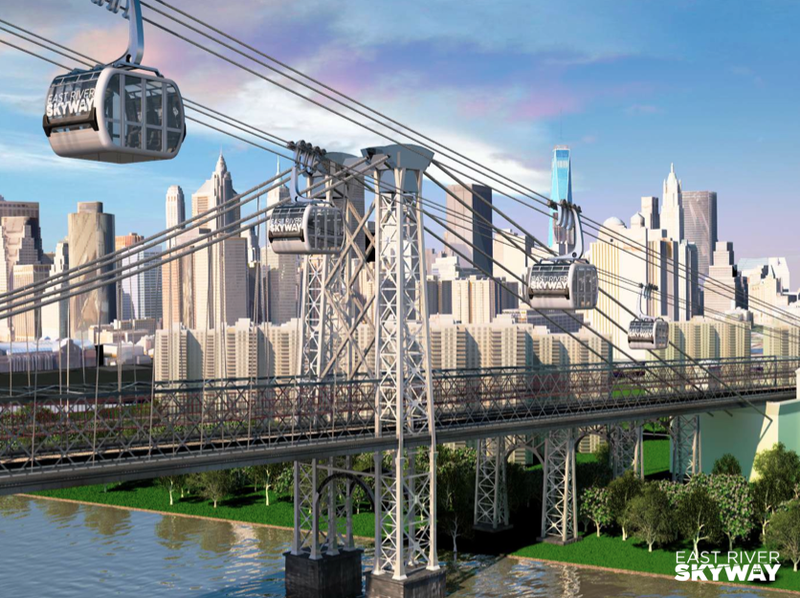 One solution that has been proposed to help the inevitable bottleneck for Brooklynites is the East River Skyway. 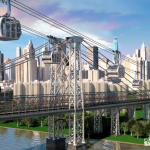 The proposed arial gondola system will run along the Brooklyn waterfront into Manhattan bringing commuters over the river in 3.5 minutes. Williamsburg resident Dan Levy is the mastermind behind this urban ski lift, and he came up with the idea two years ago on a ski trip. He’s conducted several preliminary studies and has concluded that the system would be relatively fast and inexpensive to implement in a city like New York. On the scale of commuting difficulty, traveling to Manhattan from Brooklyn or Queens is relatively low. 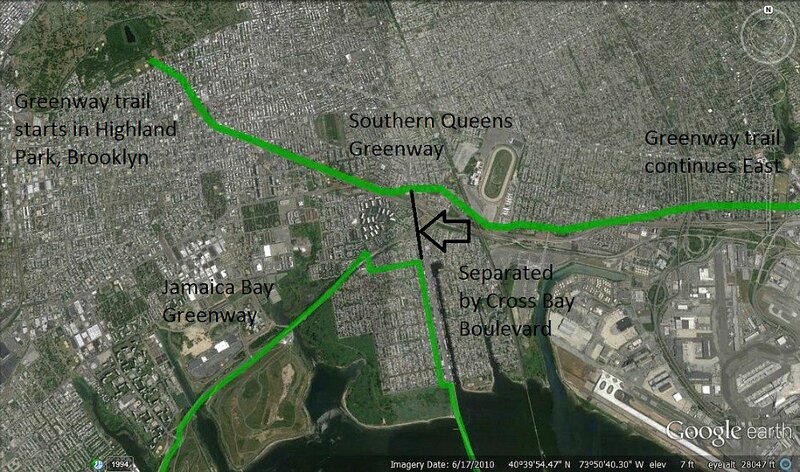 However, traveling between the two outer boroughs is a difficult and timely endeavor. 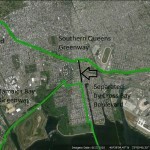 To help address this problem, a non-profit advocacy group called Friends of the Brooklyn Queens Connector have released a detailed proposal for a brand new light rail that would service ten Brooklyn and Queens neighborhoods located along a 17-mile route between Sunset Park and Astoria. It has been estimated that the project would cost $1.7 billion to construct and some preliminary designs have already been released. While the billion-plus dollar figure may sound like a heavy price tag, the new line could also bring in $3.7 billion in tax revenue. Governor Cuomo is on a mission to upgrade NYC’s transportation infrastructure, and as part of his crusade “modernize and fundamentally transform” the MTA and the subway. 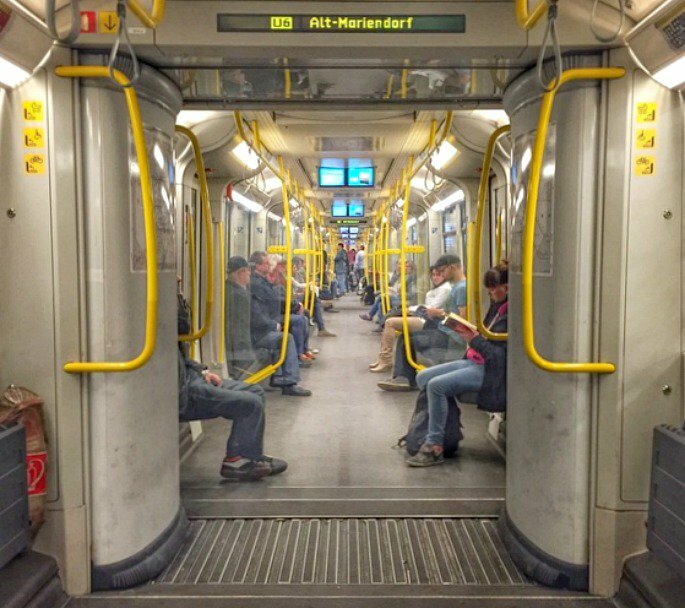 As far as specific plans for the subway, it has been reported that some new trains will have open subway cars, similar to what they have in in most cities in China and Japan, as well as Berlin, Paris and London. Other plans include the addition of more countdown clocks, contactless payment and Wi-Fi in all stations by the end of this year, and cell phone service by the end of 2017. 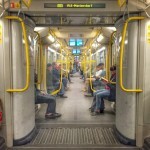 They will also be outfitting subways and buses with USB chargers. 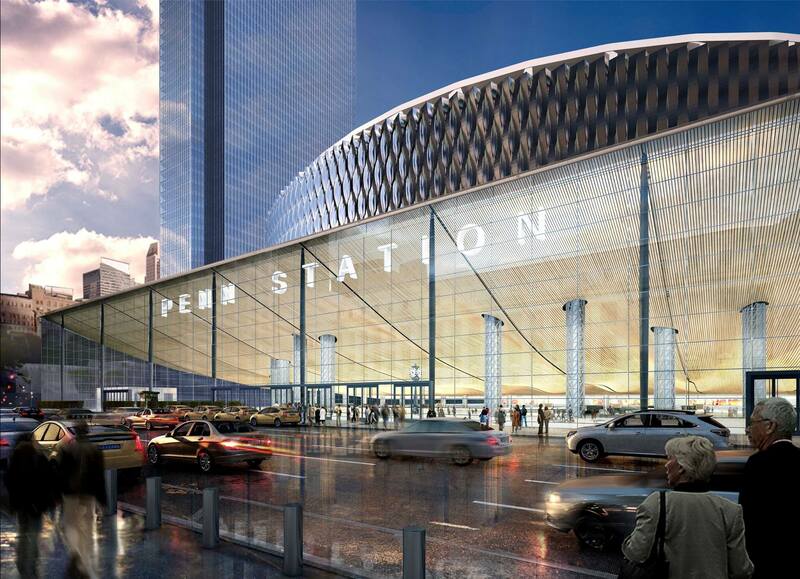 An RFP for Governor Cuomo’s $3 billion redevelopment plan for Penn Station was sent out earlier this this month. 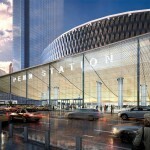 The project will increase the size of the nation’s busiest transit hub by 50 percent and will connect to the current station by a network of underground tunnels. 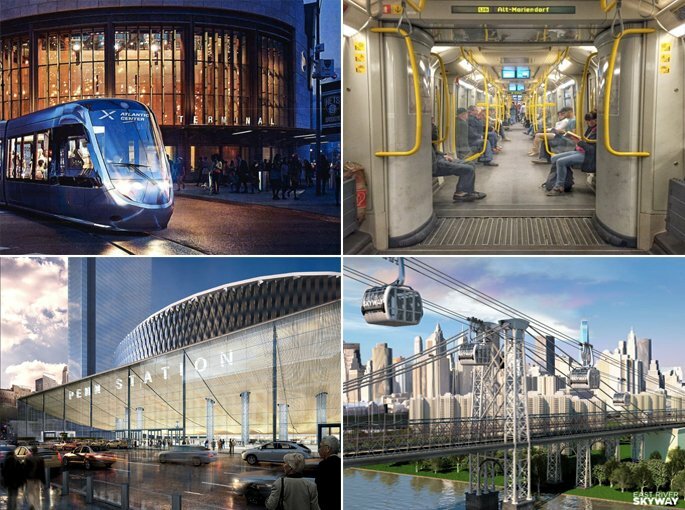 While there are several designs being considered the Governor’s office released, these renderings depicting a glassy light structure—a welcome change from the existing station that’s dark and dated! 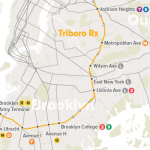 In addition to the Brooklyn-Queens light rail, a new report from the Regional Plan Association recently called for a Triboro RX subway line. The goal for the new line is to connect existing stops in the more far-reaching spots as well as add new locations. As far as costs are concerned the line will run mostly above ground utilizing existing freight tracks allowing for efficiency in cost and implementation. 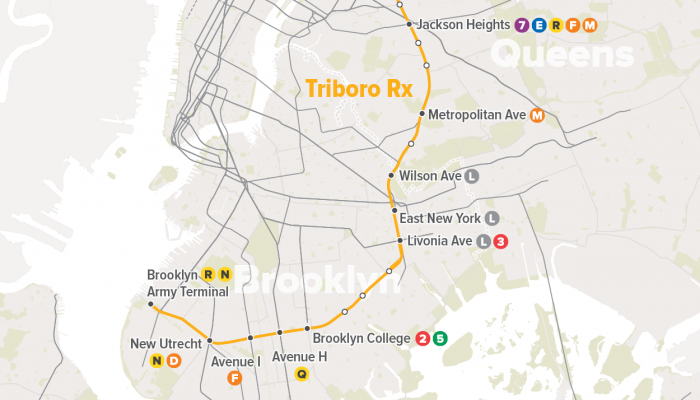 The 24-mile route, also knows as the X line, would run between Bay Ridge and Jackson Heights, and serve more than 100,000 commuters on weekdays. 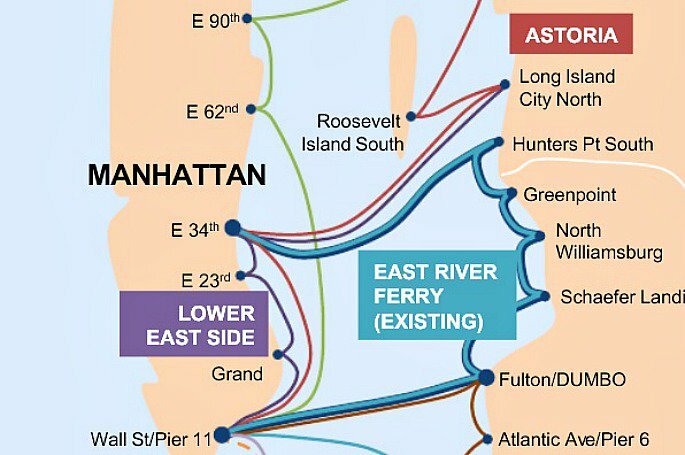 Additionally, the proposed line would connect with the 6, N, Q, 7, E, R, F, M, L, 2, 3, and 5 providing access to the otherwise Manhattan-centric subway system. While fast-moving transportation options throughout the city are being explored, Jersey City resident Kevin Shane longed for transportation options with slower pace. Frustrated with the traffic and mass transit plaguing his commute into the city, Shane enlisted Jordan Architects to help. 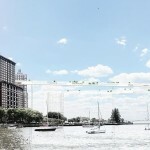 The firm’s proposed solution is a 5,000-foot pedestrian bridge between Jersey City and Battery Park City. While the plan sounds overwhelming, it’s actually more feasible than one would expect considering the Hudson River is only about a mile wide. The bridge proposal is now being referred to as Liberty Bridge and boasts High Line-esque features such as views from 200+ feet, plantings, ADA-compliant access points, integrated seating, public art, solar panels, free wifi, and cafes and shops. 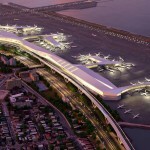 Governor Cuomo recently revealed his much-anticipated plan to revamp LaGuardia Airport. In total, the overhaul will cost approximately $4 billion (although some estimate double that) and includes the consolidation of four terminals into one central hub, as well as relocating the entire structure two football fields south of its current location. 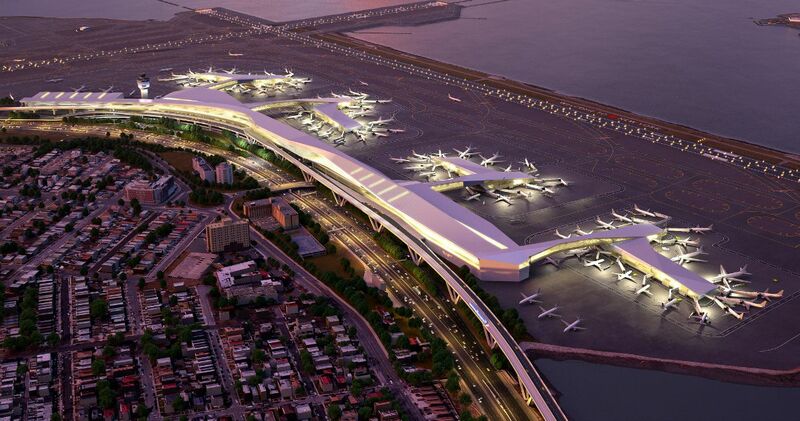 Additionally, the proposed and controversial AirTrain, a rail system that will connect travelers to the 7 train at Willet’s Point, will be implemented, alongside a 24-hour ferry service operating from the Art Deco Marine Air Terminal. 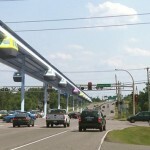 Secaucus, NYC’s neighbor, shares the city’s commuting woes, but they’ve been gearing up for a remedy, putting to test a new form of solar-powered public transit called JPods. 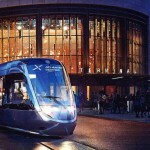 The innovative system utilizes a combination of light rail and the concept of self-driving car suspended above street level. The best part, the dreamlike JPods system is designed to bring travelers as close to their destination as possible. The pods were first developed to transport small groups of people—riffing on the idea of a personal vehicle as opposed to a subway train car. 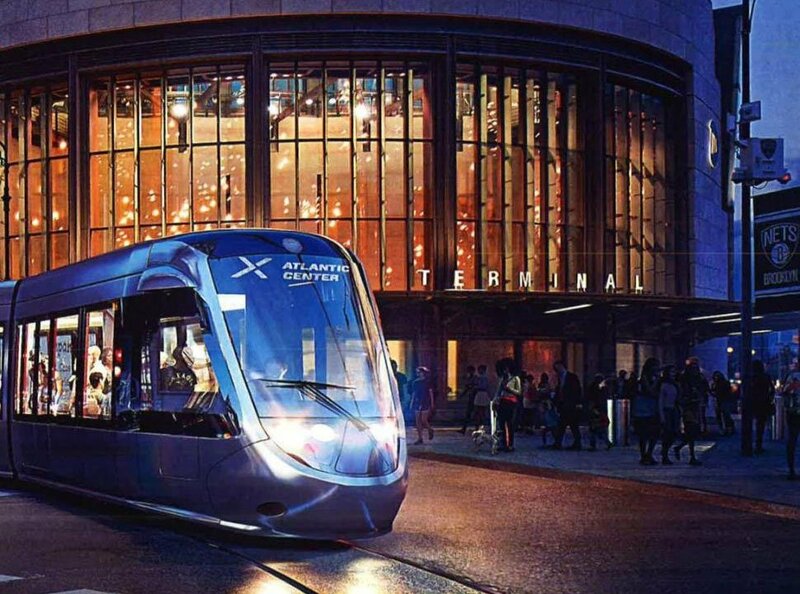 In order to get people exactly where they need to go, addresses are entered into a touchscreen computer and the pods are able to communicate with each other when navigating the rail system to get folks to their destinations quickly and without fuss. Why bother for all this. What we need is the DOOR to DOOR, MECHANICAL EQUIVALENT OF THE INTERNET IN TRANSPORTATION, to change the world and our lives as much as the magical INTERNET did. It is feasible. An architecturally friendly to the environment system of posts and cables (or even rails) going through EVERY STREET will be required, for pollution free electromechanically driven carts to slide. A conceptually new, really big forward step in the movement of people and goods, of the caliper of the INTERNET.